Thank you all so much for continuing to read these blog post! This has been so much fun to share and get feedback from y’all, thank you! The purpose of this series is to be a mentor to y’all and for those of you who may not have a mentor yet. When I was in school I can remember my professors telling me that when you graduate you will want to get a mentor. I nodded my head and went along with the idea, and really had no clue what a mentor was or why it was a good idea. Those darn professors were right, and I wish I would have hopped on the bandwagon earlier and got a mentor earlier. After school there is still so much to learn, and as I started to venture in private practice the amount of stuff I needed guidance was HUGE! I definitely had the drive, and I needed a teacher to guide me along the way. That’s why I believe mentorship is so important. Everyone should have a mentor to look up to for inspiration, guidance, and counsel. The source of inspiration can be through people that we are in direct contact daily- family, friends, colleagues, or even people from afar we learn from. When we feel an emotional connection to those that influence us- we feel inspired by who they are, what they stand for, the messages they share, that it can continue to build up our drive to keep pushing ourselves to the next level. Remember the last time you felt inspired by a friend, a leader in your community, a podcast you listened to, or a blog post you read. Did you notice that you kept going back to that message and felt uplifted? That is a good mentor! Lastly, a good mentor should possess the traits of a coach. If you played sports you might had a coach that was able to take your team from not working well together to a level of corporation and a common goal . 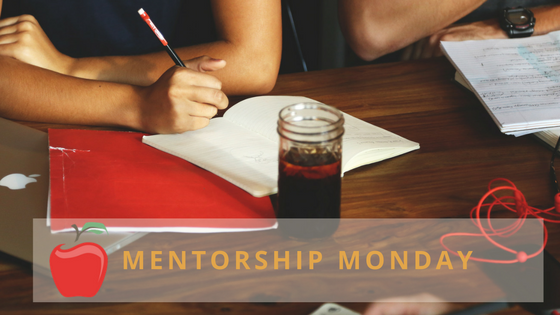 A mentor who is able to provide encouragement, with accountability by coaching you toward your goals is exactly the mentor you want to find. As an entrepreneur, you will have tons of projects that will occupy your time, a mentor who possess the coach quality will help you organize, strategize and hold you accountable to get those tasks done. Having a mentor and now a few mentors in my life has helped my to continue to set and accomplish great goals in my life and business. I want you to find 1 mentor today. I can be a person close to you that provides inspiration or someone afar that you are learning from. Leave a comment below when you have found your mentor! Thank you again for all your support! Love you all!